Australia’s first Greek-style beach bar returns! 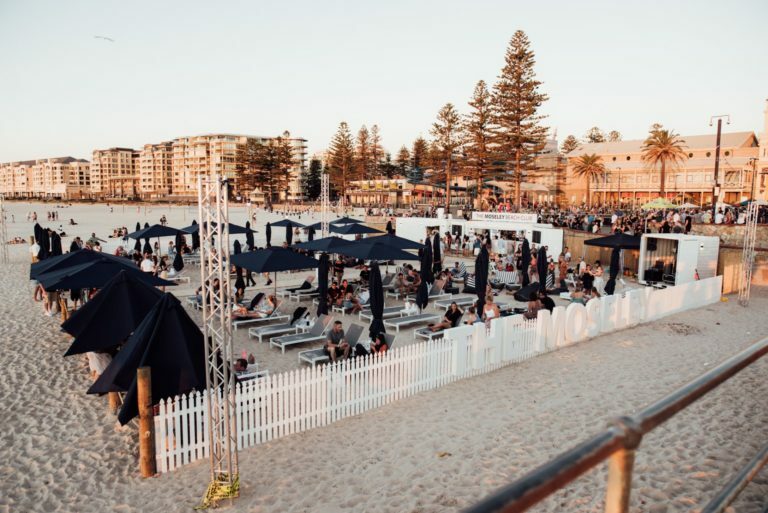 After a very successful year, The Moseley Beach Club has recently opened its doors for a second consecutive year at the iconic Glenelg Beach in Adelaide, offering those residing in or visiting South Australia the opportunity to experience a Mediterranean-style beach setting this summer. The European-style beach bar is inspired by established and premium beach bars around the world, particularly those in Mykonos, Santorini, Nice, Capri, and other exotic European destinations as well as south-east Asian island retreats. Temporarily set up for the summer, the fit out offers 10 premium day beds and 40 sun lounges, a casual dining area and bar with direct lounge and day bed service, live music events and ongoing security. “Our opening weekend was very successful,” said RD Jones Group’s Director of Operations, Luke Donaldson. In its first year of operation the cosmopolitan venue attracted thousands of international tourists and interstate visitors who helped boost the local economy by increasing both the overall traffic to the area and business performance. 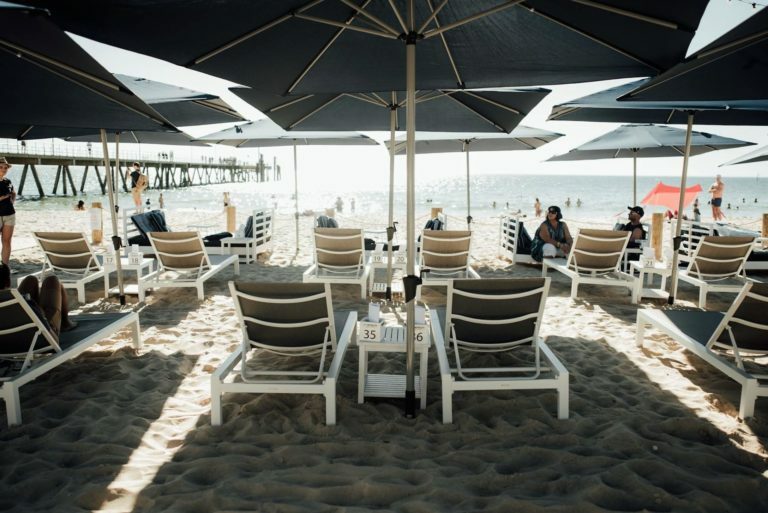 “We’re proud that more than 30,000 people visited the Beach Club last season, while this summer we hope to see more than 50,000 beach club-goers visiting Glenelg, which will in turn bring more foot traffic to Jetty Road traders,” said Mr Donaldson. To show their commitment to the local community, the Moseley team has chosen to collaborate with South Australians brands the likes of Shaw & Smith, Pirate Life, Bird in Hand and The Lane. “Our commitment to the community is of great importance, as our aim is to work with as many local traders, suppliers and producers as possible to showcase the best of South Australia and we are thrilled also with the local interest in the venue around the festive period and the tens of thousands of people who have embraced our project as it enters into its second year of operation,” said Mr Donaldson. Now open and operating daily, the 350-capacity venue that spreads out across 750 sqm of beach space has already created 40 jobs in the area. Australia’s first licensed beachfront getaway was made possible largely thanks to the support of members of the Greek community, who pushed for it to be approved. After last year’s positive feedback and success, it is now being viewed as a potential blueprint for similar operations around Australia. “Thanks to the support we have had from City of Holdfast Bay Council, we are in a position to offer everyone the opportunity to enjoy a drink on the beach in a relaxed and family-friendly environment for a second year and we certainly look forward to bringing the world’s attention to Glenelg, showcasing our great beaches in South Australia,” said Mr Donaldson. The Moseley Beach Club will operate until early April, 2019.